Are you renting a house or apartment and forced to live with white walls? You don’t have to anymore. 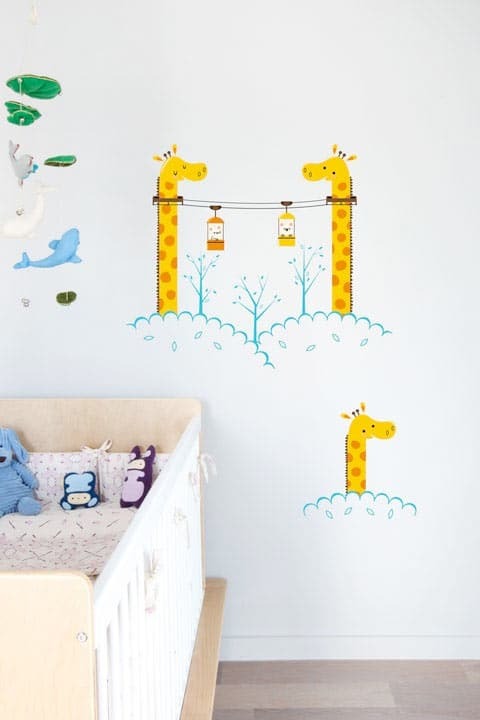 The hottest, newest product for wall art are decals. They are removable graphics that let you be creative. Some are even MOVEABLE! My favorite site for wall decals is Blik. Blik was the brain child of Scott Flora, an architect, and Jerinne Neils, a food writer. While trying to decide what to do with their own walls they came up with this brilliant idea. The application of their product is perfect for any home or business space. I love the flexibility. Change your mind, no problem. This is perfect for a child’s room. The walls can be changed as they get older. Bringing them from infancy to teenage years easily. Blik’s newest product is the pattern wall tile. You can create a feature wall, an accent over the bed, cover closet doors, or well you name it… we can go on and on. The tiles are self-adhesive and can be repositioned and moved easily. These self-adhesive fabric tiles are eco-friendly, non-toxic and free of both PVC and phthalates. So there are no longer excuses for you to live with white walls. Get creative and have fun.